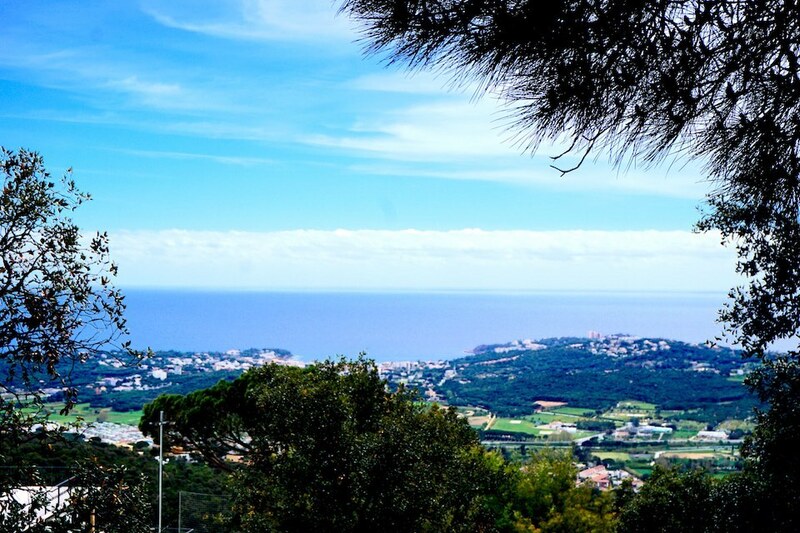 This plot has a very large flat area where the villa would be built, it is set in a high privileged spot with fantastic sea views on the prestigious Golf urbanisation of Mas Nou on the outskirts of Platja d’Aro. The neighbouring plots have multimillion euro properties built on them which effects the value of what ever property is built on this plot to your advantage. The plot is situated a few miles from the town of Platja d’Aro with it’s large beach and many shops, bars and restaurants. There is a very good Golf Club within walking distance with a bar/restaurant, swimming pool and a small supermarket, so it is quite convenient for anyone to have a bite to eat and a drink without traveling by a car. A few miles past the Golf Club is the small village called Romanya del la Selva, which has a couple of really nice restaurants and just a nice rustic village with it’s old church and spectacular views. The plot is less than 10 minutes drive to the beach and local town of Platja d’Aro, 30 minutes drive to Girona and the airport, Just over 1 hours drive to Barcelona.